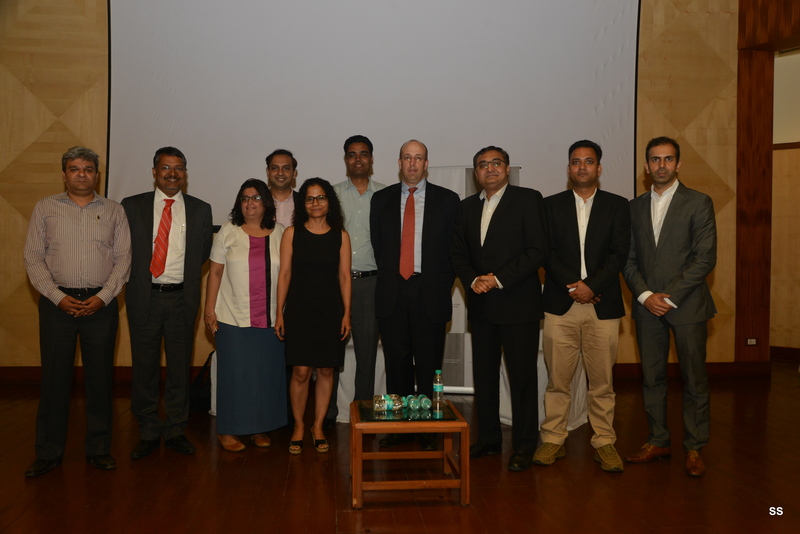 IAIP had the privilege of hosting Chris Franzek, MD, Portfolio Valuations, Duff & Phelps, for a Speaker Event at Mumbai, wherein he gave a very good perspective of valuing alternatives. Duff and Phelps is global valuation and corporate finance advisor with expertise in valuation, dispute & legal management consulting, M&A, restructuring, compliance and regulatory consulting. It carries valuation exercise in Private equity, Real estate, Leveraged Loan, Sports team, music library etc. Unlike the traditional investments, there are no analyst coverage for investments in private equity, hence you are the analyst responsible for valuation! Basically, there are three approaches used in valuation of Private equity. They are cost approach, market approach – in case fair market is available for similar investments – and cash flow approach (DCF approach); similar to the one we use in the equity market. Sometimes, valuation is very challenging due to the nature of investments. Alibaba, for example, posed a great challenge for valuation as it did not have great cash flow in the beginning. In such situations one has to rely on transactions between the company and other investors. Valuations for the companies evolve over time, till they arrive at close to public values. One has to be careful about the challenges posed by regulations. Regulatory backlashes sometimes lead to undesirable consequences, as was the case with Uber, though impact of regulation is easier to predict. Chris also highlighted the use of Capex as an important parameters of a company valuation. It gives you opportunity, offers risk, and shows the important milestones that can be achieved by a company. Technology is very important in valuation. One has to assess the damage that may be caused by technology. Is technology detrimental to value? One has to ask such questions in order to avoid mistakes. Financing aspect is also very important in private equity. If you are asked for another round of financing, you should ask yourself whether you expected this situation. How many rounds of financing will a company need? One should be ready for this kind of situation. Documentation is another very important tool for analysts in private equity valuation. The worry for an analyst is whether she has overvalued or undervalued a company. Fair value is more difficult for early stage company as the products don’t have a ready market, however, the problem is not that serious for a developed company. If a company has a business model that is alternative to already existing businesses, one has to often ask, “Why do we need it”. He said this in a context of Snap Chat – which is an alternative to emails. Chris replied to many questions posed by audience. In response to a question on whether the next bubble will be in PE space, he quipped that he would be happy if it is so! When an equity bubble pops out it leads to repercussions in the whole market, however, in case of PE space the impact can be absorbed by a few entities which may not lead to systemic problems. Life for PE guys are not that easy – they take their job very very personally. Mistakes do happen in few cases, but, on average analysts are right in their valuations. On a question as to why do we need analyst for traditional investment space, Chris explained that companies want transparency and that is the reason they hire analysts. Onto credit side, valuations require Enterprise Value (EV), yield analysis, premium or discount as the case may be. Next, one needs to calibrate model to adjust for premium or discount. This exercise is similar to equity valuation. Credit in case of unlisted company – one which is covered by analysts in alternative investments, are unrated and so is the company. If a senior tranche is traded, yield on the next instrument should be higher. Adjustment for liquidity should also be made keeping in mind the duration of the instrument. Private equity and venture capital are largely unregulated space in most part of the world, however, talks are on to bring these asset classes in regulatory jurisdiction. Chris talked about AIFMD in Europe, especially what the regulators desire. There is a thought going on in US to regulate this industry, the big four may also push for regulating this industry. This entry was posted in Mumbai, Speaker Events and tagged Alibaba, CFA Institute, Chris Franzek, Credit, DCF, Duff & Phelps, IAIP, Indian Association of Investment Professionals, Jainendra Shandilya CFA, Jitendra Marchino CFA, Private Equity, Sonia Gandhi CFA, Uber, Valuations. Bookmark the permalink.